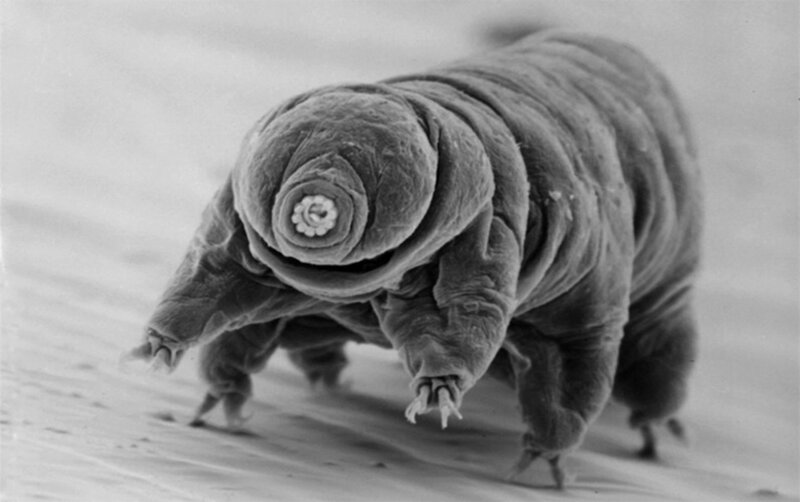 The Water Bear, pictured to the right and whose scientific name is the "tardigrade," is a fascinating microscopic creature with four pairs of legs. It is known for its hardiness, able to survive in some of the most extreme conditions, including freezing cold, burning heat, and in the vacuum of space. But its striking appearance and awkward way of moving is what this music captures. This jig is a bit lumbering, not quite reaching the tempo or energy of a typical jig, and the harmonies are a bit quirky. Woodhaven High School, Bradley Faryniarz, Director of Bands. You may download a pdf of the perusal score in case the embedded score below is difficult to see or does not display. Water Bear Jig is currently published by Roger Zare Music. You may purchase sets of parts or individual scores with the buttons below. Note that each set of parts comes with a score that will be bound and mailed to you. If you need a quote for a purchase order, please contact me.